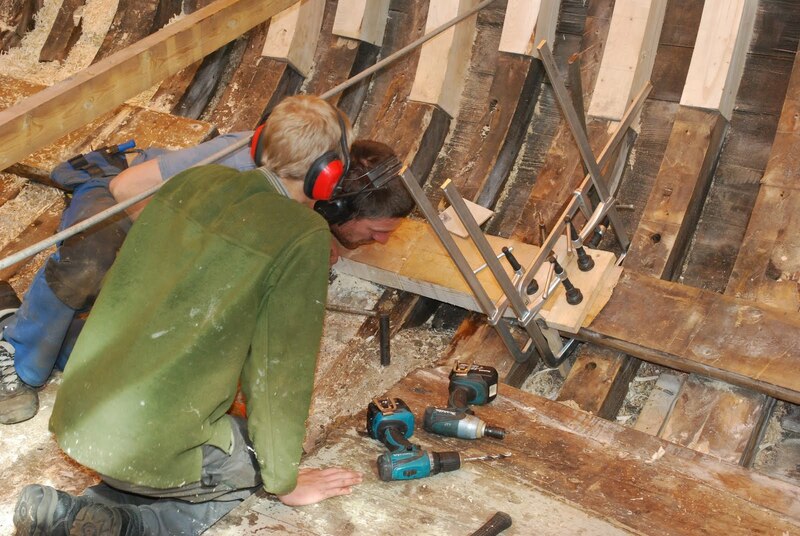 On starboard Peter is also busy changing planks. 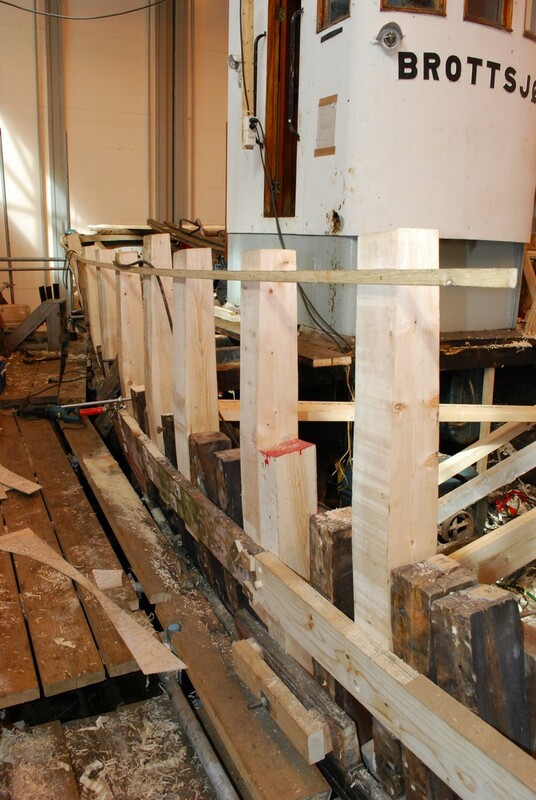 The wood we bought for Brottsjø is not always of the best quality but for the skin the planks are good. 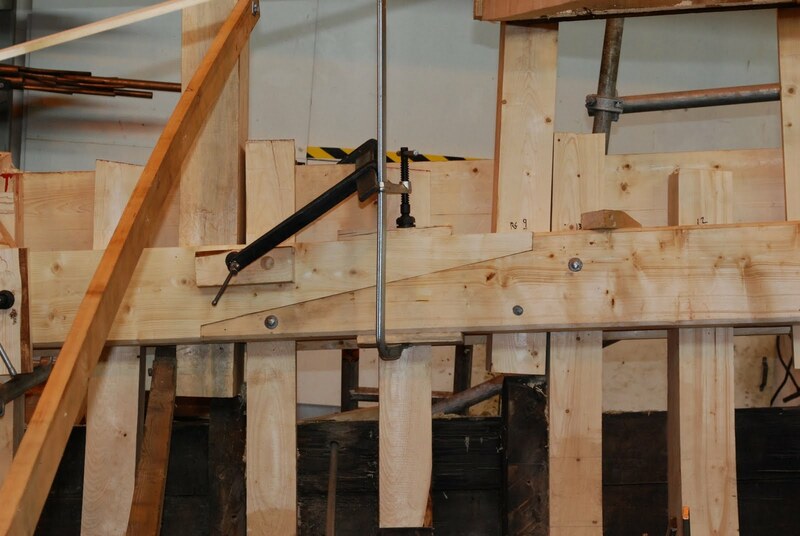 These “rekkestotte/spants” or ribs are showing cracks but they will be covered with skin plancks but we found out that the rekkestutter that are exposed to the weather originally were made from pine instead of spruce and that makes sense, now we can use a better quality of wood. 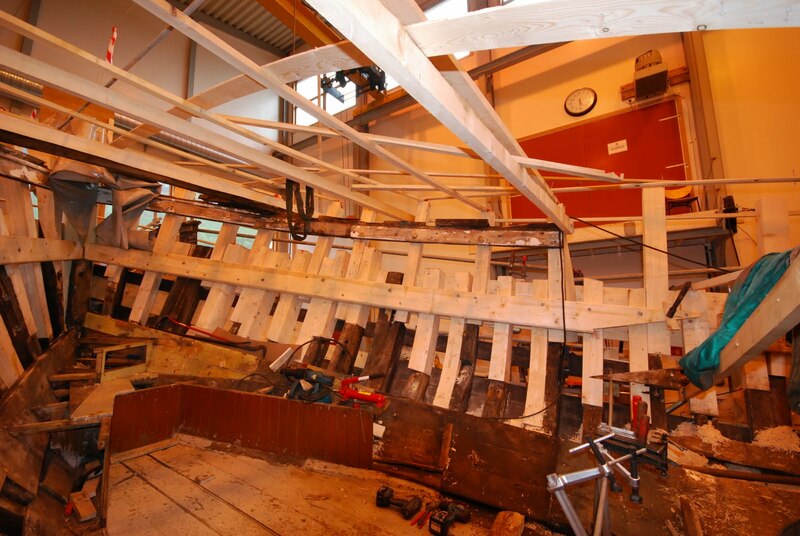 To keep the shape of the boat intact we used a lot of crossbeams. 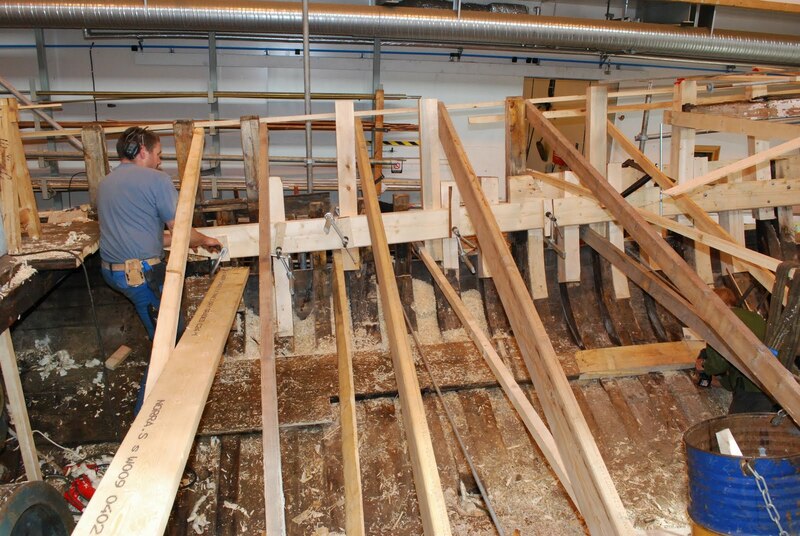 In the video below you see how we put a beam at the inside at gunwale level, in Norwegian its called a bjelkeveger (beam bearer). 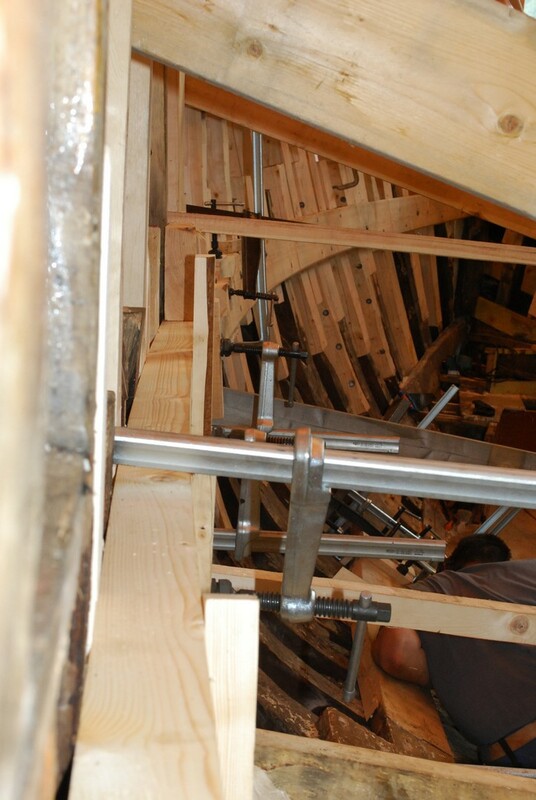 This beam will help strengthening the construction. Here you can see the beam clearly. 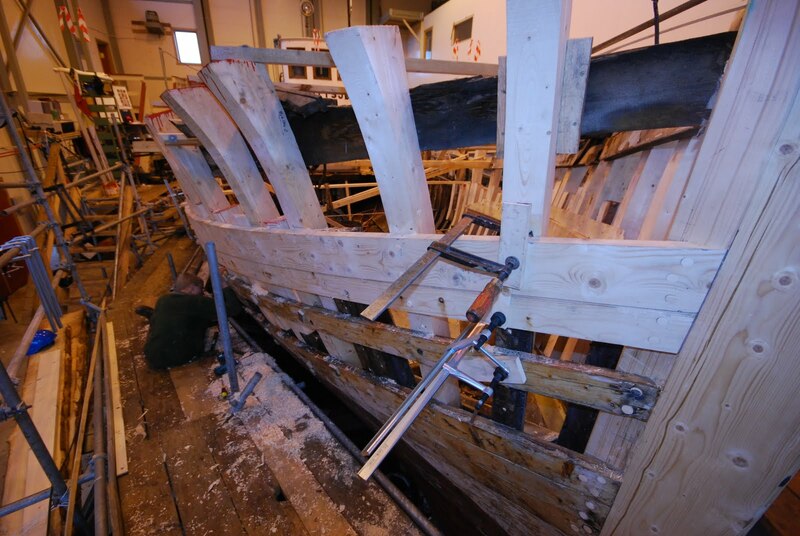 Here Martin is working with the “livholt”, three 2 inch thick planks that go the full length of the boat and are impotent for the construction. 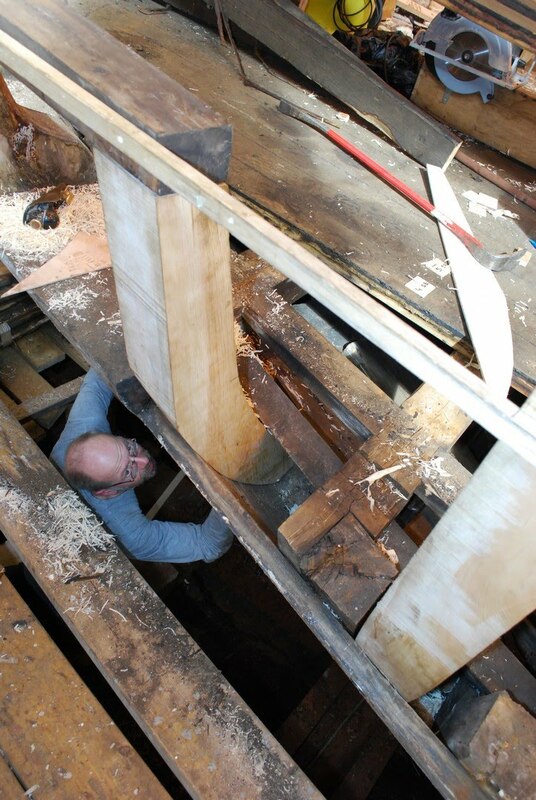 At the point were Martin is sitting in the picture all three of the beams were rotten. 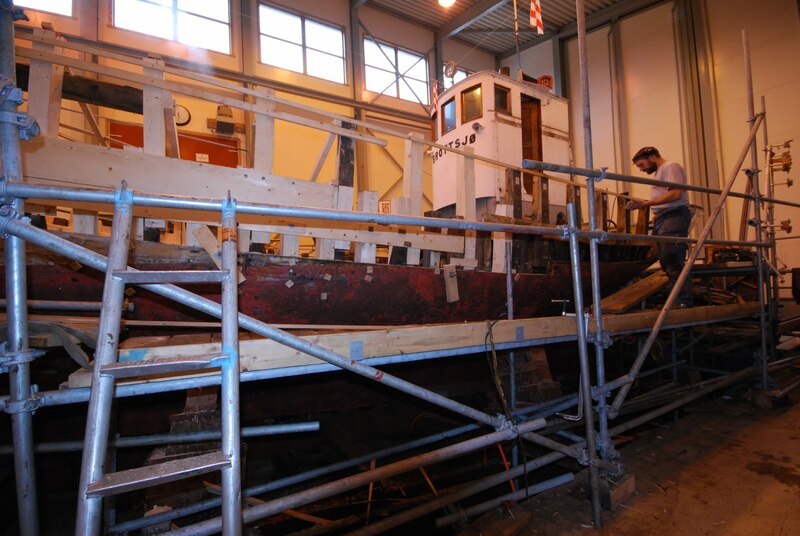 Because of the strength they give the boat we decided to replace two the full lengths and repair the third one. Life of a Norwegian fisherman in the days when Brottsjø was in use. 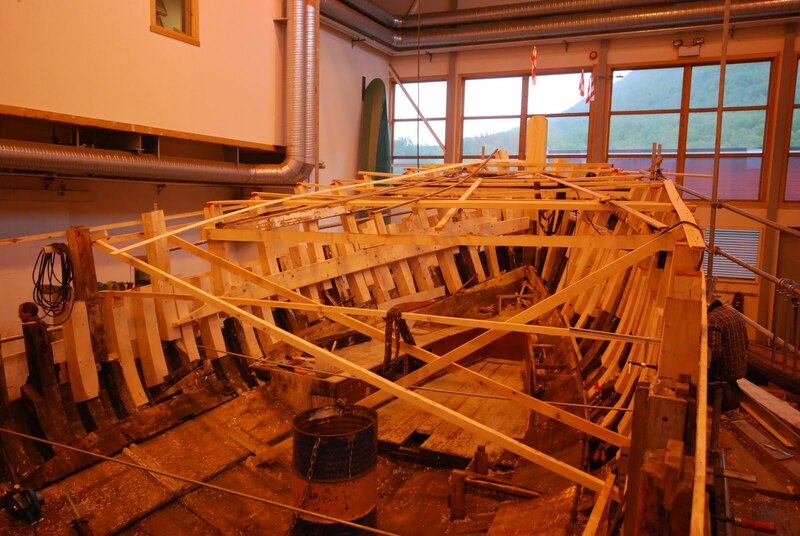 These video’s are useful for us, it can tell us where you can expect the most wear and tear on a boat like Brottsjø for example but it’s also a nice look in a world that is forever gone. 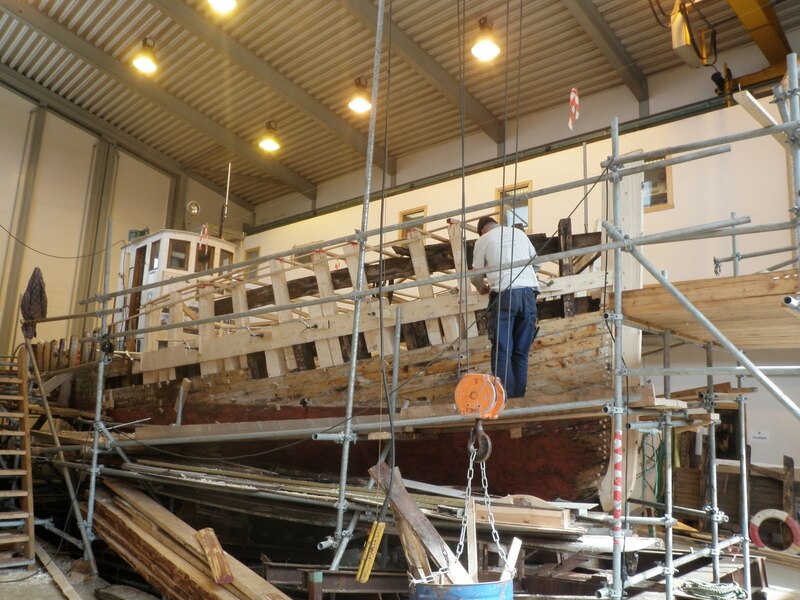 Because all the deck beams are gone Joost had to strengthen the construction while mounting the 3 inch thick “bjelkeveger” or beam-barer. 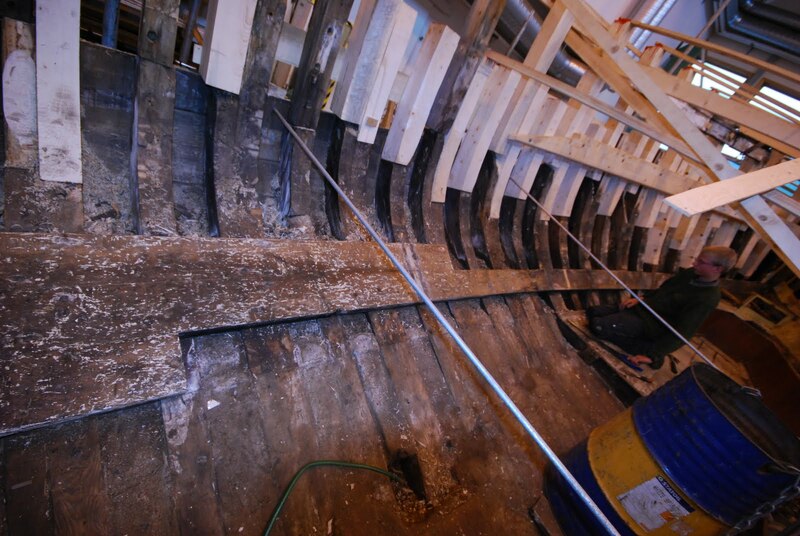 It’s an extra thick plank on the inside of the hull where the deck beams are mounted on, we wanted to make sure that the original shape of the hull was not changed wile pressing this thick plank in.